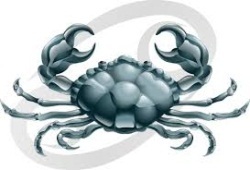 The Sign of Cancer (June 22nd – July 22nd) has been regarded as the ideal mate for the men/women of Water and Earth sign including Scorpio, Pisces, Taurus, Virgo, and Capricorn. There are many important notes for you to remember when dating a Cancer man or a Cancer woman. So, what are the keys? We put them below for you, dear Cancer and Cancer fancier! The woman born under the sign of Cancer is very sensual and emotional. She tends to have the deep emotions in love, but to build the strong bond, it requires tons of time and patience. Therefore, the Cancer partners should not expect their Water women to open up to them right away and jump into the relationship without devotion or promise. When a Cancer woman dates you, she has greatly intended to stay in love with you in a long run. Trust and loyalty are the two most significant factors for the Cancer. If the mate ever betrayals her trust, she may or may not tolerate him BUT the past betrayal is still in her mind forever. She is clingy, yes, so inside her heart, she cannot feel truly happy with the disloyal man. Only when the solid and safe foundation is formed, the relationship will develop and grow as time passes. The feminine, sensual, and patient women need a man who can care for her emotions and provide her the safe arms whenever she needs. The man of the sign of Cancer will approach his love interest in the cautious and steady way. Due to the fear of rejection, the Cancer man is rarely straightforward with the mate. Thus, if you are keen on a relationship with a Cancer man, you should always make the first move. Just invite him on a date, and if he shares the same interest in you, he will happily agree. Please note that the man of Cancer sign falls in love in the easy manner and makes his lover the whole world in his eye! Provided that the sweetheart cares for him constantly, he will shower her with the whole-hearted love for sure. Because of the full love, the Cancer man may turn to be highly possessive and jealous when he finds that some other men are paying attention to his girl. Since he is loyal, he demands his lover to have the same degree of loyalty. Any sign of “treachery” can ruin the relationship. Though he doesn’t pick a quarrel with the partner immediately, inside her heart, there is a needle that frequently hurts him.